So thrilled to share this painting!! It’s my second gouache attempt on canvas. 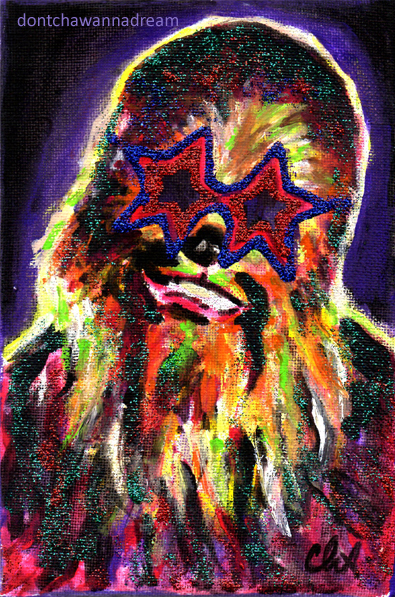 I don’t know if it’s the star sunglasses or the chewie+glitter combo but it makes me smile. lol Yesterday I posted a picture of it on Facebook while the glitter glue was still wet. As I have more time now exams are over, I can relax A LOT and make tons of different things like sleeping, watching tv shows, painting, painting, drawing, painting and… crocheting. I’m really excited. My grandma taughed me to crochet when I was 8 and it’s something you cannot forget. It’s SUPER easy. Your Chewbacca is really funny! The tilt of his head, the smile, and the glasses just make it perfect. Chewbacca Star! Yoda is cute, too. To me it looks like a baby Yoda. 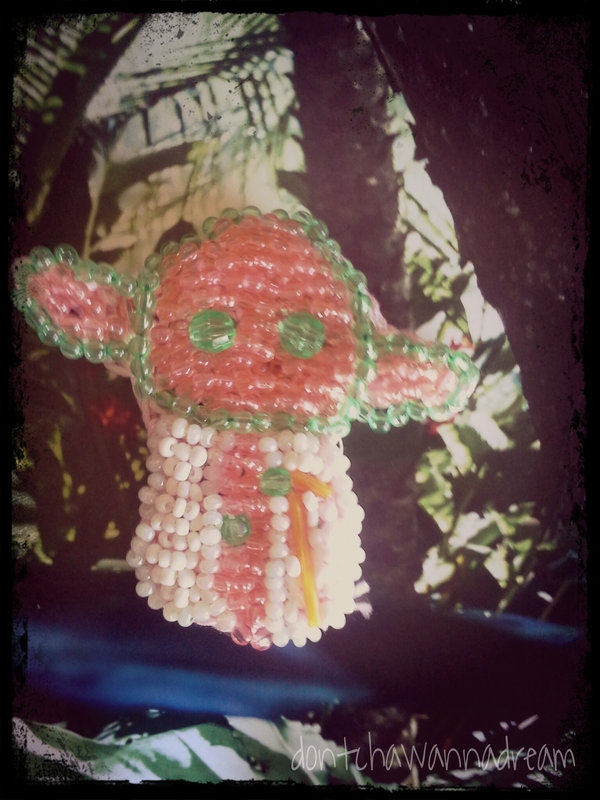 And probably the most beaded Yoda ever! Chewbacca is a star, I agree. He deserves the glitter and the glasses!! This is awesome. Immediately brought a smile to my face. Rick James meets Chewbacca. Love it! Chewy is funny but Yoda looks way cool!